Certified for cable Internet Service Providers,including XFINITY from Comcast,Spectrum, and more. Watch 4K movies, play games and get more from your cable internet with the CR1900 all-in-one modem and Wi-Fi router, certified for XFINITY from Comcast, Spectrum and more. AC1900 Wi-Fi speeds and 24x8 channel bonding deliver uninterrupted 4K streaming and support the fastest DOCSIS 3.0 cable internet subscriptions. 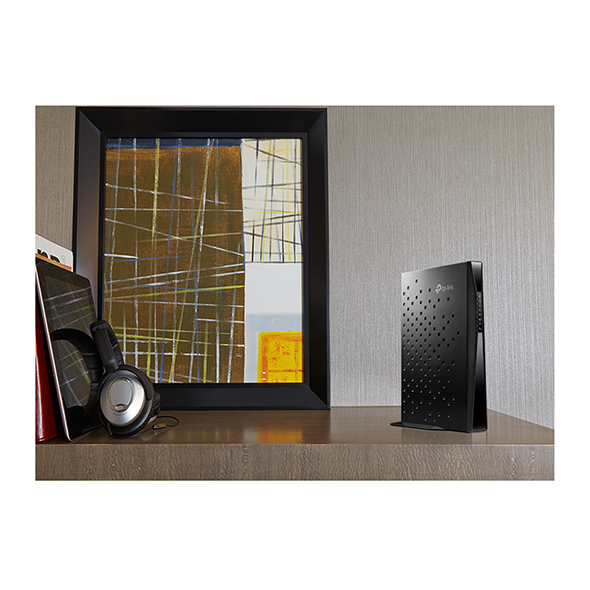 The CR1900 uses DOCSIS 3.0 and channel bonding to deliver throughput 300% faster than 8x4 modems and support download speeds up to 1 Gbps* over coax cable. 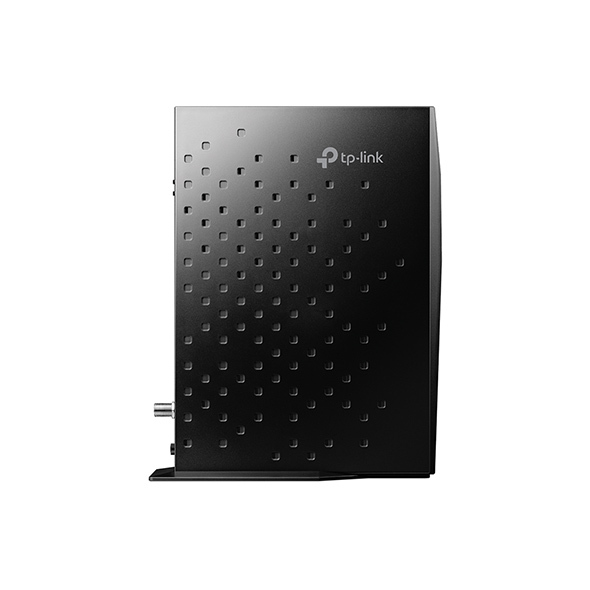 ISP rate limiting makes the CR1900 ideal for DOCSIS 3.0 cable internet plans 500Mbps and above*. 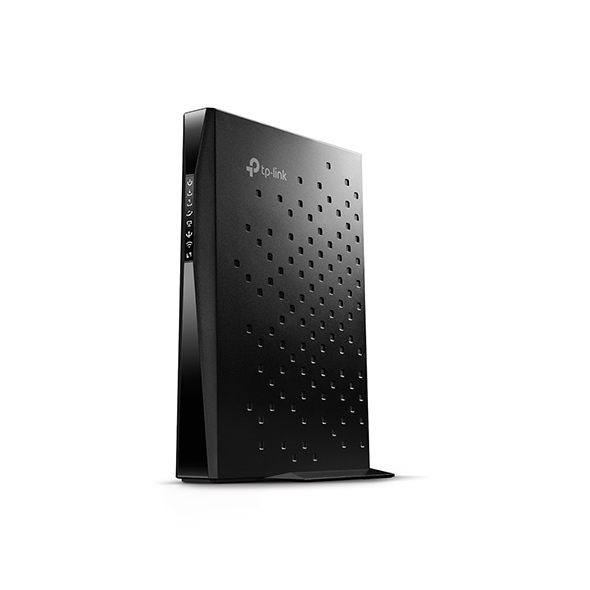 Own your cable modem router and eliminate networking equipment rental fees from your monthly internet bill to save up to $120 per year. Beamforming technology lets the CR1900 locate Wi-Fi devices and focus its wireless signal towards them instead of simply sending Wi-Fi signal in all directions at once. With Beamforming, Wi-Fi connections made by the CR1900 are stronger and more reliable, even as you carry mobile devices like smartphones and tablets from room to room. separate from your main network. The CR1900 sets up easily with hassle-free online activation or a quick phone call to your service provider. 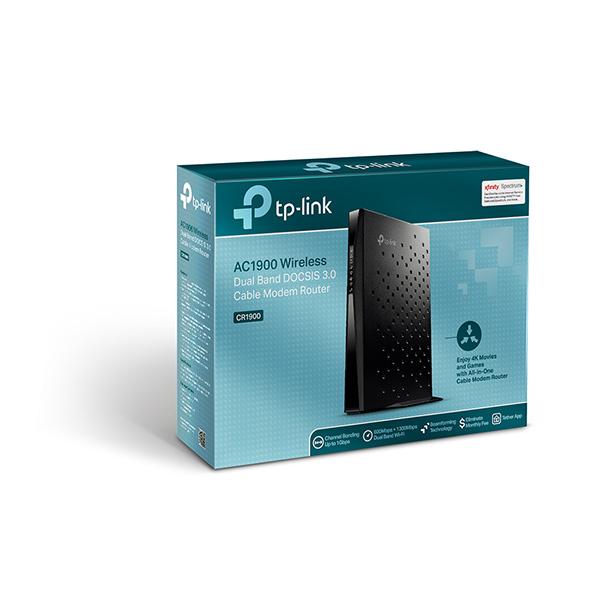 Simply connect a coax cable to modem router, join the Wi-Fi network using the default Wi-Fi name and password and open a Web browser to navigate to your ISP's self-activation page. If a self-activation page does not load, call your ISP support team to assist you with activating your internet service. 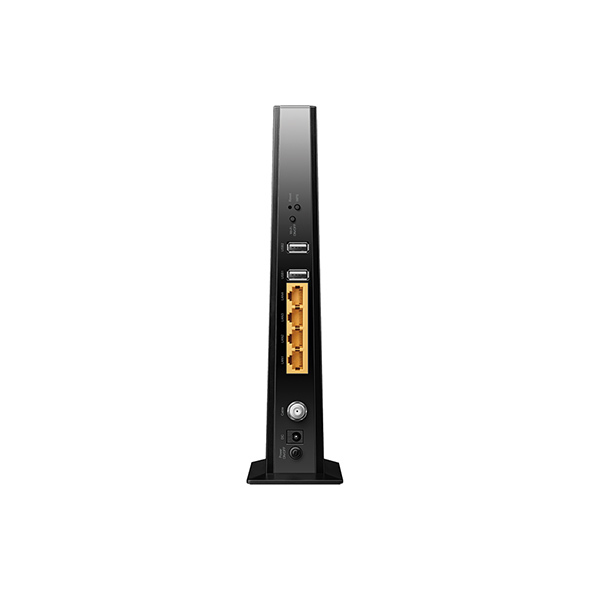 Two USB ports make storing, accessing, and sharing data hassle-free by allowing multiple USB devices to connect to the modem router at the same time without the need for a separate USB hub. This allows you to download or stream media from flash and hard drives, including music, photos, and movies, as well as share printers across your network.